GAZA (Sputnik) - The Hamas movement and several other groups in the Gaza Strip have called on Palestinian President Mahmoud Abbas to refrain from imposing sanctions against the enclave over the recent attack on Palestinian Prime Minister Rami Hamdallah's motorcade and invited him to visit Gaza to settle the situation. "We call on President Abbas to visit Gaza in order to overcome this difficult period without taking punitive measures and to control the investigation into the attack on Hamdallah's motorcade… We call on the security services in the West Bank and the Gaza Strip to unite efforts in order to identify those responsible for the attack," the Palestinian movements said in a joint statement. The statement was signed by Hamas, Islamic Jihad, Popular and Democratic Fronts for the Liberation of Palestine. On Monday, Abbas directly accused Hamas of the bomb attack against Hamdallah and Palestinian security chief Majid Farajand, who visited the Gaza Strip last week, and threatened to impose sanctions against the movement. Hamas condemned statements made by Abbas accusing the movement of the attack, a move which may threaten or delay the process of inter-Palestinian reconciliation. Hamas has also called on regional and international organizations, including the League of Arab States, to urgently engage themselves in the situation in order to prevent a Palestinian split. "The movement considers the publication of Abbas' preliminary conclusions and his direct accusation against the Hamas movement over the incident with Prime Minister Hamdallah's motorcade to be a diversion from the path of justice and the course of investigations, while security forces in Gaza continue the investigation without cooperating with the government," Hamas said in a statement obtained by Sputnik. Hamas has also called on regional and international organizations, including the League of Arab States, to urgently engage themselves in the situation in order to prevent a Palestinian split. 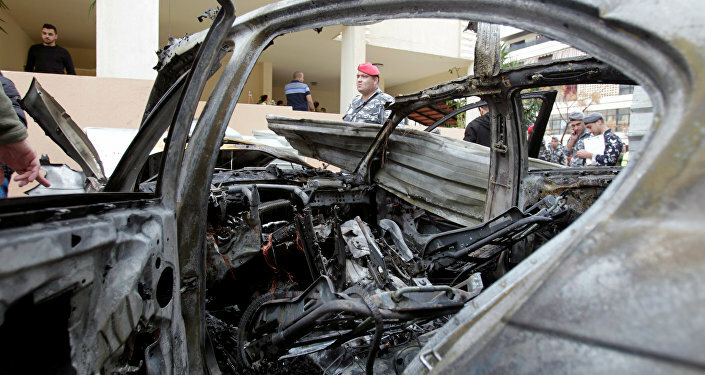 On March 13, an explosion hit a site near Hamdallah's motorcade in the Gaza Strip. Hamdallah himself was not injured in the blast. The Palestinian National Authority placed the blame for the attack on the Hamas movement, which has been governing the Gaza Strip. Hamas, in turn, condemned the attack on Hamdallah's convoy and called on law enforcement agencies to find the perpetrators as soon as possible. Back in October 2017, Hamas and its rival Fatah faction, headed by Abbas, signed a reconciliation agreement, prior to which Hamas agreed to hand over administrative control of the Gaza Strip and start talks with Fatah in order to hold a general election in Palestine. In late November, the two sides agreed to hold parliamentary and presidential elections in Palestine before the end of 2018. Nabil Shaath, the foreign affairs adviser of Abbas, told Sputnik in February that the intra-Palestinian reconciliation process had been put on hold, because the Hamas movement had not yet relinquished administrative control over the Gaza Strip.